Bo Tang, co-author of Loose Fit City (2018), and co-editor of Learning from Delhi (2010) and The Architecture of three Freetown Neighbourhoods (2013). I am a senior research fellow, module leader and lecturer in the Architecture of Rapid Change and Scarce Resources (ARCSR) at The Cass, London Metropolitan University. My research is focused on collaborative live projects and making as a catalyst for civic engagement and social change. I have worked on projects in India, Nepal and Sierra Leone. Bo Tang studied architecture at the Bartlett School of Architecture, University of East London and The Cass, London Metropolitan University, where she graduated with distinction in 2008 and won the prize for best Integrated Design Study. She completed her PhD on a full 3-year scholarship in 2014. Her research thesis, entitled ‘Negotiating Shared Spaces in Informal Peri-Urban Settlements in India’, was one of four shortlisted for the RIBA President’s Award for Outstanding PhD Research in 2014. Since 2006, Bo has been involved in the research field of the Architecture of Rapid Change and Scarce Resources (ARCSR), coordinating and managing live projects with students in informal settlements in India, in collaboration with local NGOs, supported by The Water Trust (ARCSR). These include a sanitation upgrading project in Agra and quarry classrooms in Navi Mumbai. The first classroom building was shortlisted for the AJ Small Projects Award in 2010. A further research project in Sierra Leone has led to the construction of a new primary school in Freetown in 2011. Since 2014, she has led research in the Kathmandu Valley, Nepal with her students, focused on the peri-urban topography. Bo regularly organises and curates ARCSR exhibitions in the UK and internationally, and was part of the RIBA Boyd Auger Scholarship 2008 research team, which explored art, urbanism and architecture in Bosnia and Herzegovina. 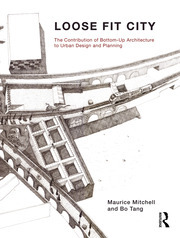 Bo is co-editor of Learning From Delhi (2010) – awarded an Urban Design Group prize in 2012, and The Architecture of Three Freetown Neighbourhoods (2013) – a collaboration with the British Council in Sierra Leone. She has recently co-authored a new book, Loose Fit City, with Maurice Mitchell, published by Routledge in 2017. She has written papers in various journals including Planum and the Oxford Brookes eJournal of Learning and Teaching. Bo is currently an undergraduate studio tutor, research supervisor and technology module leader at the Cass School of Art, Architecture and Design at London Metropolitan University. She continues to further the research of ARCSR as senior research fellow and coordinator, with a new live research project in Athens, Greece, launched in 2017. My research is focused on collaborative live projects and making as a catalyst for civic engagement and social change. I have a keen interest in architectural education and pedagogy, and live projects as as research and teaching methods.